The Atelier theme is a premium eCommerce template, released in April 2015 by Swift Ideas, an Envato Power Elite author. 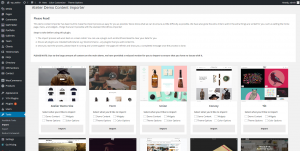 Developed with a new demo perspective and lots of features, Atelier will help you to easily set up an online shop, no matter what products you are selling. 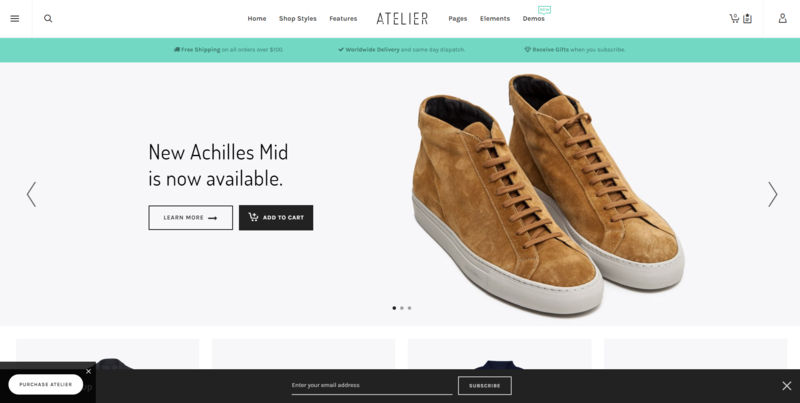 Combining a modern design with web store functionalities, Atelier is a styled and beautiful eCommerce theme powered by the WooCommerce plugin functionality. This template comes with a responsive and retina ready layout. 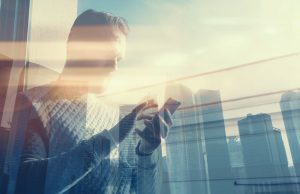 If you decide to use a demo, you may find yourself delighted by the original way you can control the multitude of options available for pre-defined content. 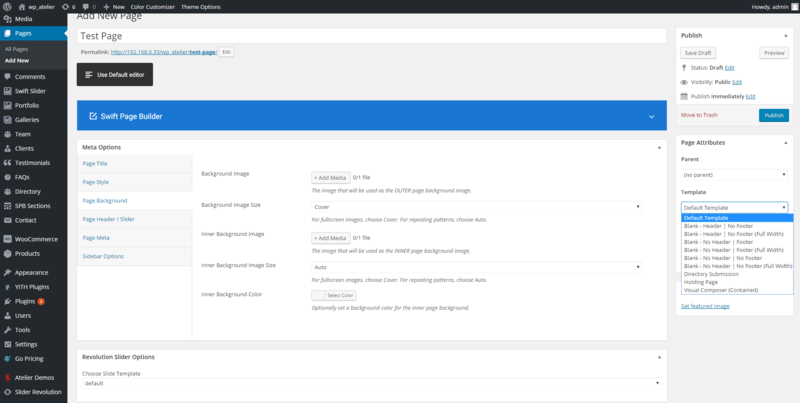 You can choose to install particular parts of the template, whether it’s dummy data, style color scheme, theme options or widgets. Also, you can opt for Atelier Demo Site, Form, Union, Shelby, Flock and more predefined demos. Your website’s framework can be full width or boxed, and use a specific header or footer style. Atelier has a list of 10 available header styles, and nine templates for the footer. 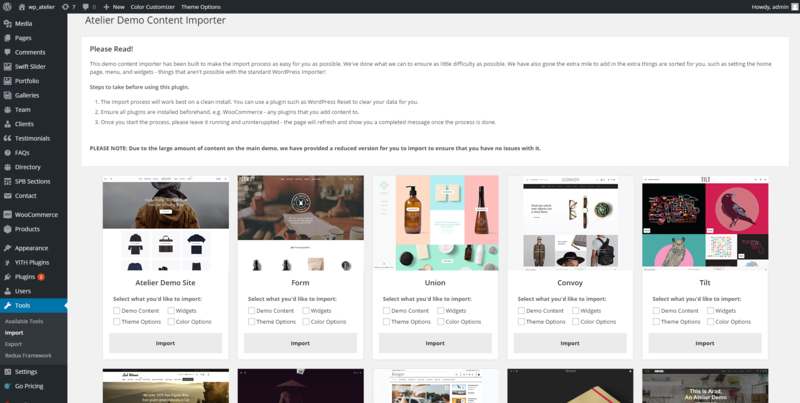 With features like custom shop icons, cart styles, notification animations, and a view shop switcher that lets you manage how your products are being seen, the Atelier theme will adapt to every eCommerce website. You can style the cart and choose how to display your products. The theme has a custom slider called Swift Slider. It allows you to save each slide separately and use it later on other pages with the page builder. Swift Slider has three dedicated sections: Slide Background, Slide Background Video & Slide Content, which can be individually customized. 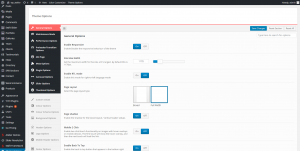 Atelier is a social, friendly theme with ten custom-made widgets. You can add Swift Framework Flickr, Instagram, Video or the Advert Grid Widget on your sidebar areas. This eCommerce template is compatible with multiple popular plugins such as bbPress, BuddyPress, and WPML, and it also supports RTL. Atelier is organized in a user-friendly structure, providing many options. Every WordPress user can customize Atelier’s settings with ease directly from the Theme Options panel, which is divided into two areas, the first is called General Options. 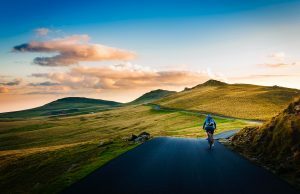 The second section includes the rest of the settings like post styles, header and footer templates, color, typography, social networks options and so on. Also, Atelier has relevant customization settings for an eCommerce theme. You can enable a ‘promo bar’ to promote your best products, and your visitors can use the review system (percentage or points) to rate whatever you are selling. You also have a pre-built newsletter option and a subscription system, ready to multiply the visitor’s great experience. 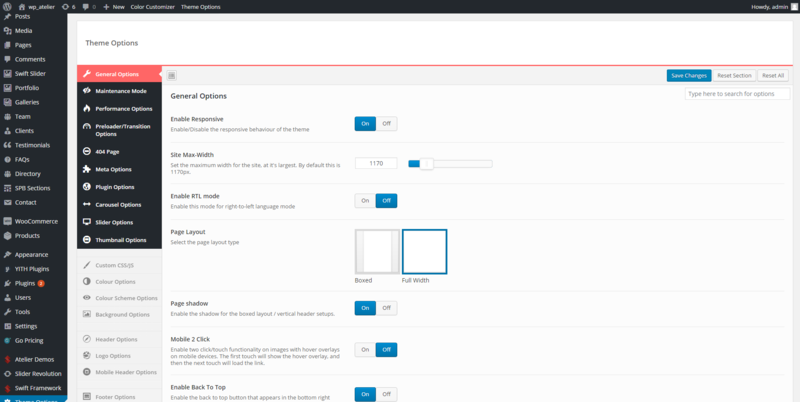 The theme comes with a custom page composer, called Swift Page Builder. You can start building a page using one of the templates, or the predefined elements. 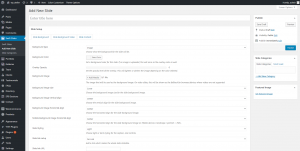 Also, you can individually manage the meta options for pages and posts. 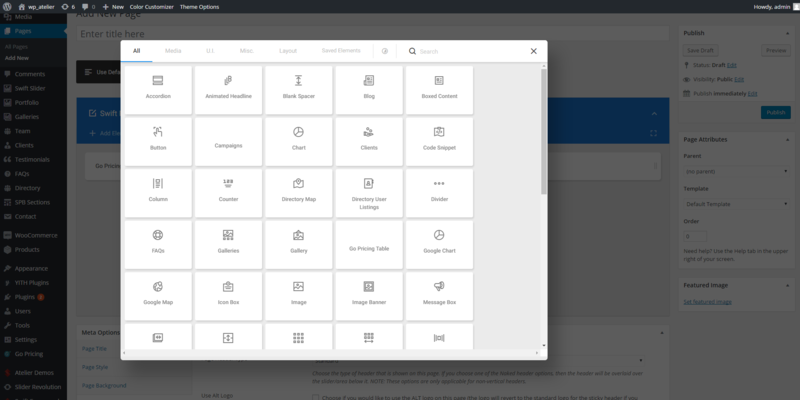 Meta Options gives you the possibility to customize thumbnails, sidebars, and the page style & background. For every new post, you have five available formats: standard, aside, chat, quote or status. 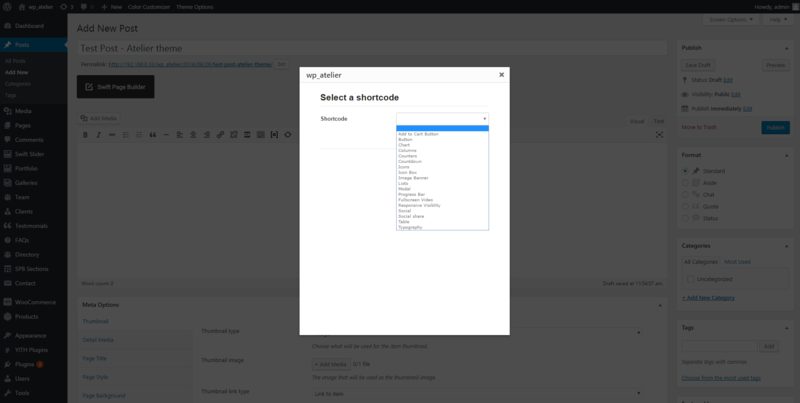 Both pages and posts can be organized using the drag and drop Swift Page Builder or the Swift Framework Shortcodes. 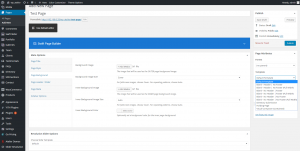 Atelier comes with a custom plugin called ‘Atelier Demo Content’ and premium plugins like Slider Revolution, Go Pricing – WordPress Responsive Pricing Tables. For an eCommerce website, the Atelier theme loads the content pretty slow. To keep the customers happy and return to your site for more online shopping, you must make sure you optimize the product pages. The theme doesn’t allow you to use custom or Typekit fonts, but Google typography is available. No translation panel is built-in the Atelier theme. 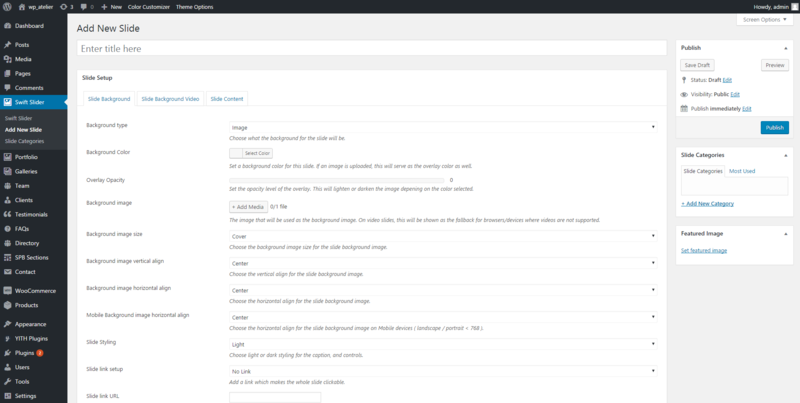 The theme’s documentation provides screenshots and helpful details, but they are explained briefly. 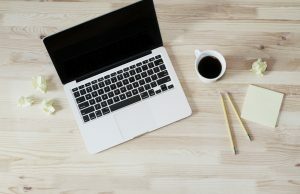 Atelier’s features mixed with creativity, will help you build a blog, corporate, business, flat, minimal, photography ecommerce website, without knowing a single line of code. Atelier’s attractive demos introduce you into a beautifully designed virtual space, while the specific product additions will give you the possibility to own an amazing online store.